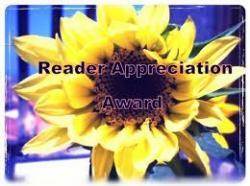 Last week I was nominated for a few awards, and I wanted to be sure that I said thank you to those of you who nominated me. I’m glad that you enjoy reading my blog. I very much enjoy reading yours as well. 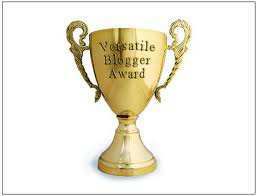 Patti Clark and Timzauto both nominated me for the Versatile Blog Award, and Diane nominated me for the Readers Appreciation Award. Thank you all! It’s very kind of you. I’m kind of surprised anyone likes my blog. But I’m glad you do. 4) I like proper grammar. Even if I don’t use it all the time. 5) I never, ever use what I refer to as text speak. I’m not sure why. Maybe it’s the only way I can pretend to be elitist. But I type out words. Maybe I just like typing. 6) My hands turn orange when I eat a lot of vegetables. I got quite concerned the first time it happened.